To be the model for excellence in CRO services. 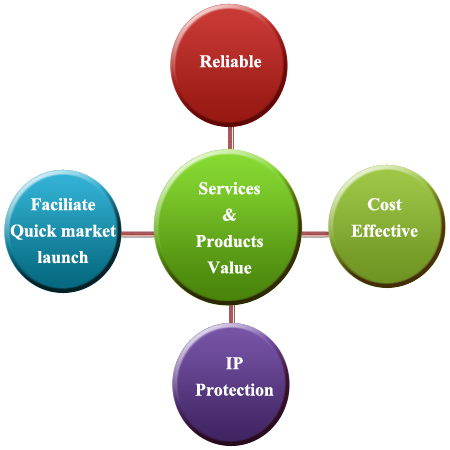 To promote our CRO services for our each and every client by delivering secure, effective and faster entry in to the market and provide quality assurance beyond SOP and to earn trust, reliability and confidence in the quality and integrity of the services that we provide. Our mission is to be a part of your outsource team providing high quality custom synthesis and process development while minimizing time to market and helping you to balance and control cost. When you choose a vendor to handle your most challenging chemistries, think of a first rate company that has a reputation for doing a high quality job. 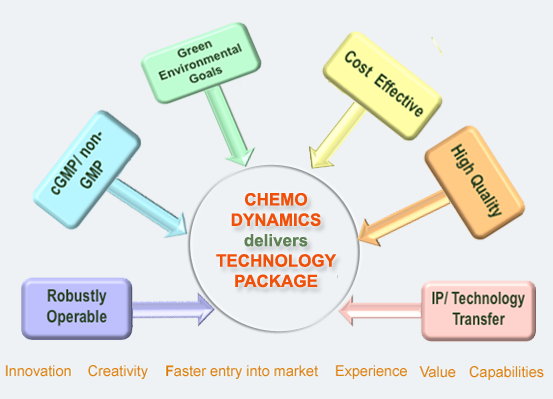 ChemoDynamics is an experienced, contract development and manufacturing company for active pharmaceutical ingredients (API) and pharmaceutical intermediates that combines the benefits of working with a contract research organization (CRO) and a contract manufacturing organization. For more than half a century, we have been the power behind the scenes for many pharmaceutical & biotechnology companies. We are a US based CRO/CMO with a network of manufacturing relationships globally. Our research knowledge and reputation for producing excellent quality products with efficient and fast turnaround times spans over five decades. While some vendors specialize in particular areas of Chemistry, we focus on doing chemistry. Our key areas of expertise include diabetic care, oncology, metabolic, cardiovascular, eye treatment (glaucoma) and Alzheimer and obesity. We are committed to the success of our clients. Professionalism: We proudly exhibit consistent commitment to service quality and efficiency in all our work. Integrity: We work with highest standards of integrity and honesty. Accountability: We are accountable for what we say and do. We say what we mean and do. Creativity: We approach challenges with creativity and flexibility. We constantly search ways to improve our services and create more values for our clients. Respect: We respect IP of our clients and protect CDA/NDA. Our STAFF is composed primarily of PhD Chemists who are not only talented at the bench, but ready to discuss and recommend alternate ways to do your job. 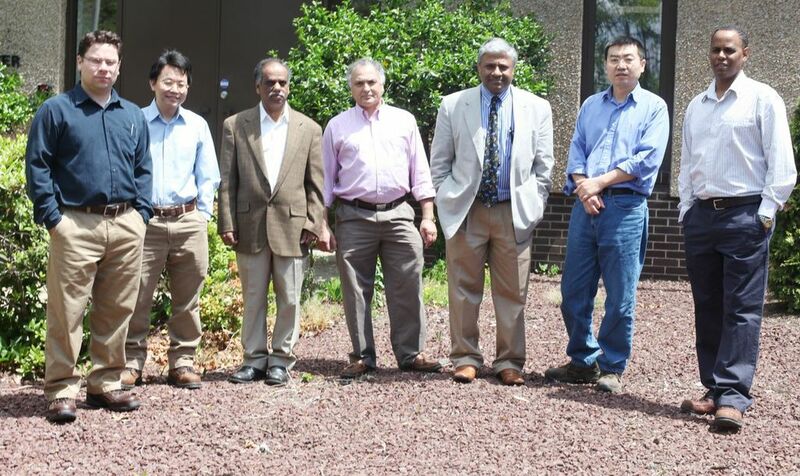 Leveraging our state-of-the-art GC-MS, LC-MS & NMR equipment to serve existing and new customers ensures RESULTS that are safe, operable and economical. We ensure that our clients have the information and the quantity of material they need to take their projects to the next level. We provide products and services to global pharmaceutical companies and biotechnology companies, as well as government agencies throughout the world in order to bring drugs to market faster and more efficiently. Our portfolio of products and services enables our customers to reduce costs, increase speed to market and enhance their productivity and effectiveness in drug discovery and development. Our broad spectrum of services include Custom synthesis, Contract R&D, Route selection, Process research/scale-up, Analytical development, impurity isolation, identification & synthesis and Small lots manufacturing. We also provide cGMP services and have a Schedule II – V Controlled Substance License.